Well for one, fabric. but now I can get CASH BACK on fabric. That's what I'm obsessed with. Ebates. I may be totally late to the game, but I signed up before Christmas and I already have $54.82 cash back. They put it right in your paypal account! This is how it works, you shop online at stores that have an agreement with Ebates. Each store has a certain percentage that you get back after you buy something. You just have to go to Ebates first, and click the link to whatever store you are going to. and so many more. So here is the deal, you should sign up, because free money, duh. If you use my code, you get $5 to start and I get $5 dollars too! 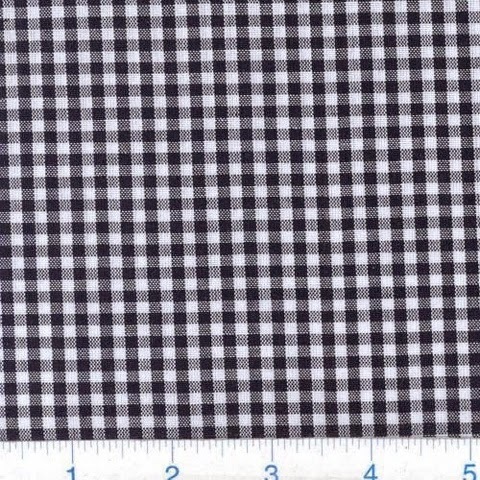 Currently in my fabric.com cart I have some black gingham, and some Cotton and Steel Lawn. I would get $2.13 back. 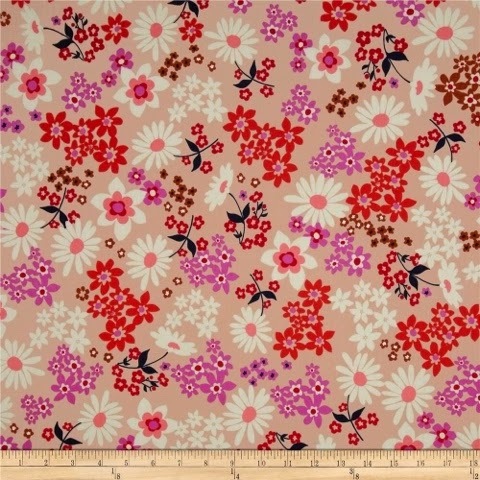 Plus they have Liberty fabric, I mean you can think of it like 3% off Liberty. All these little amounts really add up, I have the app too, and I obsessively check how much is in there. PS. These are all my own opinions and I really am obsessed. I just wanted to share this little tidbit with you guys as friends. I think everyone wants to save money to buy more fabric. If you are interested here is my link. Well I've finally made us some new pillows. I've been hating on the pillows that came with the couch, they are just too small, and I've been searching for the right fabric. The inside panel is a cotton + steel quilt weight cotton "august mezzanine". To make this pillow I cut a center square 16 x 16, and strips of the border print to go around the square. The border was sewed on and I prepared to quilt it. Layered cotton batting and muslin under the top. I'm not the best quilter, I tried the free motion foot first, and that was a disaster. It is impossible to keep the stitches even. Then I put on my walking foot and started to trace some of the shaped in the fabric. That took a while, and wasn't really quilting as much as I wanted it to, so I started to do the crisscross across the center. The border fabric I quilted separately, but doing diagonal lines all over and intersecting them, kind of like the fabric. Then I washed the whole quilted piece, even though I had already pre washed all the fabric, and it shrunk another 2 inches. The back was left plain in the contrasting print, I inserted an invisible zipper, and stitched around the other edges. Boom two original pillows! Rockford has been enjoying the pillows the most. This is one of the things that has been hanging in my closet forever, and I have yet to show you. Not sure why, it is so shiny and pretty! 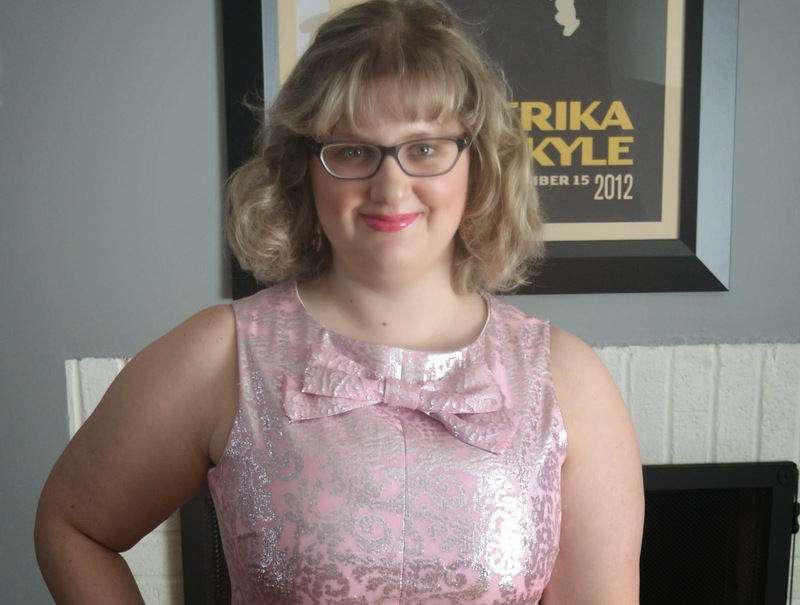 I made this dress last year to display at fabricland, to show off this amazing silk fabric. It is a very lightweight silk jacquard, with silver metallic paisley print to it. The pattern is my second version of Simplicity 1609, the jiffy pattern. This time I made the bow instead of the scalloped collar. The entire dress is underlined in white kona cotton, to give it body. 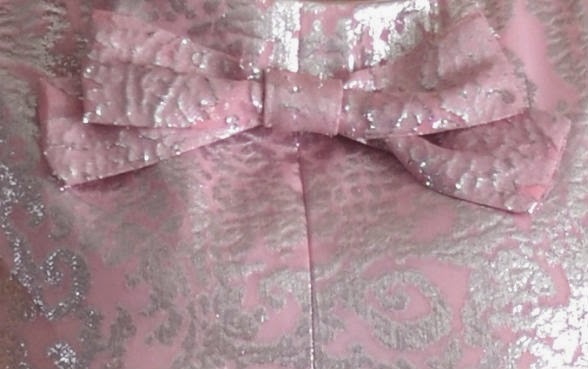 The white gave the light pink fabric the perfect pop, and made the metallic stand out even more. I hand basted the layers together before sewing the dress. I even took and inside shot for you all! Woo look at those guts. I have to remember to tack down the underarm facing, it pops out whenever I wear it. I like how this dress has the all in one facing, it looks so much cleaner. You can also see how I can never bother to take out my basting stitches. Anyone else guilty of that? HAPPY GALENTINES DAY! Today is Galentines day, where we celebrate our lady loves. So thanks for reading my blog ladies, you are the best, and this creative community of awesome ladies that make things is the best. So lately I've been obsessed with holiday wreaths. You have seen the Christmas wreaths I have made, but I also made a Thanksgiving wreath, and am collecting for an Easter wreath. 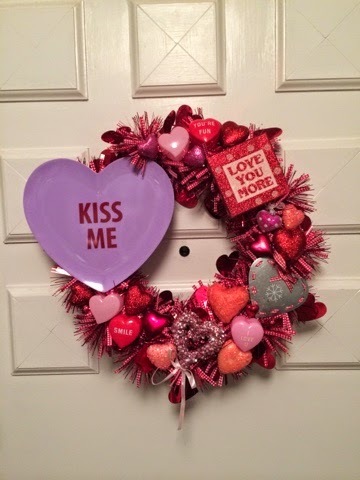 But today I wanna show you my Valentines Day wreath. This is a big one! I used a 12 inch wreath form, and covered it in this fabulous gingham garland from the craft store, Michaels. Then I added the large green BE MINE plate, with hot glue. 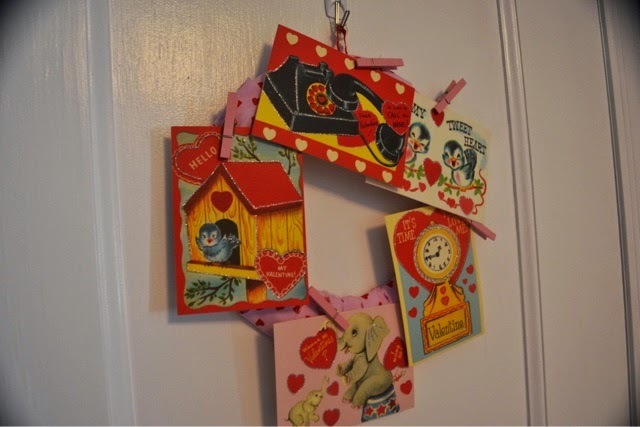 The rest of the hearts are collected from craft stores and pier 1 had some valentines ornaments, the polka dot ones and the raffia one. It's seriously fabulous. I also made one for my Mom, which may be even cuter. This wreath took me 5 minutes. 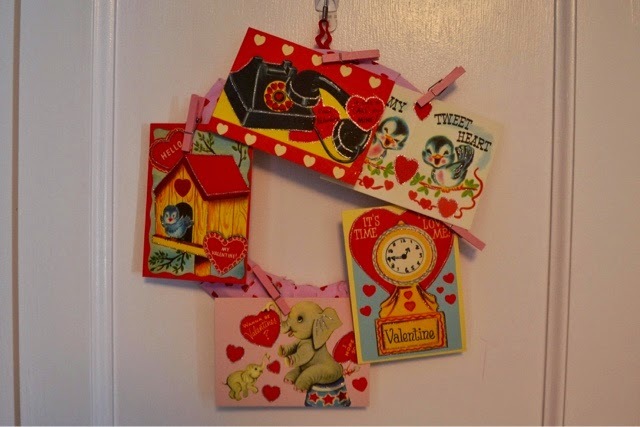 It's the easiest way to display the cute Valentines cards out there. These are repro vintage ones, but I would love to collect the real thing. 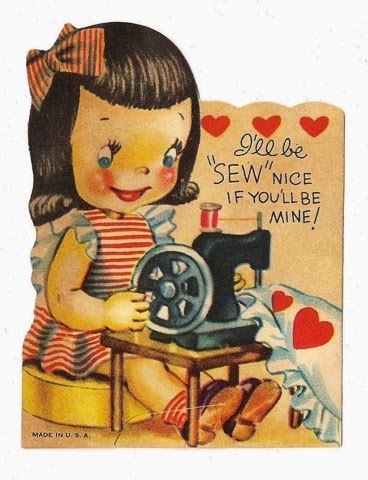 Especially the vintage sewing ones, Sew Cute! 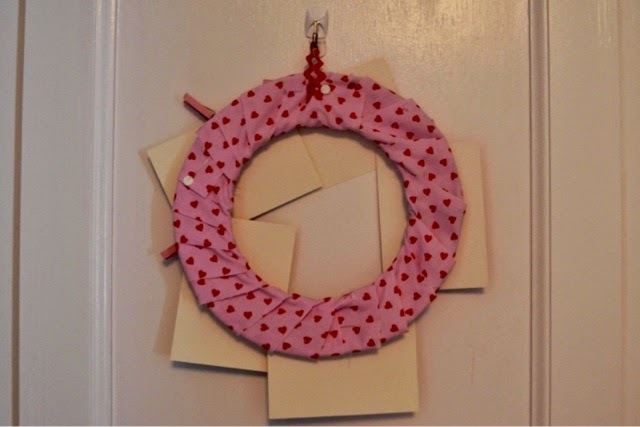 To make this wreath I started with a wire wreath form, cut strips of some heart fabric I had left over from last years, Valentines dress, and wrapped them around the form. I just pinned the strips into place, I was being seriously lazy. Then all you need to do is clip cards to the strips of fabric. I made a hook with some rick rack. Hello my fellow makers of wonderful things! Just an FYI I moved my blog from erikamadeit.blogspot.com to Erikamadeit.com! Some of you are nice enough to have links from your blog to my blog, and I just wanna say THANK YOU! I'm trying to update everything, I'm not sure I've done everything, computers are hard. I'm very excited to be sort of "official". There hasn't been much sewing going on around here, I was sick after our trip, and now my husband is very sick, and the miles of snow outside make it hard to photograph anything. What are you guys working on?